The Fiscal Policy and Expenditure Management Program (FPEMP), funded by the United States Agency for International Development (USAID), will launch Expresate on March 21 in San Salvador. Expresate, or to “express yourself,” aims to teach future taxpayers that compliance is a social responsibility that—in the long term—fosters economic growth and social development of their country. Targeting high school students between the ages of 15 and 20, the initiative was identified as a top priority of the Ministry of Finance, after the government and representatives of the private sector jointly agreed on a policy to improve fiscal transparency. “To reach the young population to create awareness about their future responsibility toward their country, FPEMP engaged with a provocative approach, creating a kind of theme park facility to make the learning and understanding of fiscal matters more of a fun and agreeable process for young visitors,” said Enrique Giraldo, the project’s team leader. The heart of the campaign is a training facility that will reach 1,500 students and offer awareness about fiscal matters to the public, including taxation, public spending and investment, and government accountability. 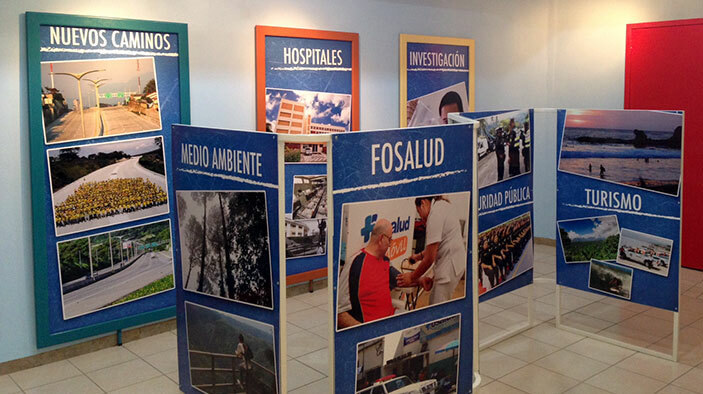 To be more engaging and capture the youths’ attention, the facility features an interactive walk-through exhibit with information about the history of taxes in El Salvador, the government’s role in public investment and its impact on economic growth, a dramatic look at what the country’s stance without tax revenue in the “Hall of Evasion,” and a room to reflect on youths’ role as citizens and future taxpayers. This project—the first of its kind in Latin America, according to the Fiscal Education Network Latin America, Europe, and the Caribbean—is a unique opportunity for the Government of El Salvador to foster fiscal responsibility among the young Salvadoran population. Partners of the initiative include the Fiscal Education Unit of the General Directorate of Internal Taxes of the Ministry of Finance and the Ministry of Education. The FPEMP team has assisted the implementation of this initiative by supporting the development of curricula and materials, installation and furnishing of the facilities, establishment of a computer lab, and purchase of state of the art video and audio equipment. The Ministry of Education will co-participate in the operations.